Although diversity is one of the central themes of ecology there is considerable disagreement ab out how it should be measured. I first encountered this problem 10 ycars ago whcn I started my research career and spent a long time pouring ovcr the literature in order to find the most useful techniques. The intervening decade has seen a further increasc in the number ofpapers devoted to the topic of ecological diversity but has led to no consensus on how it should be measured. 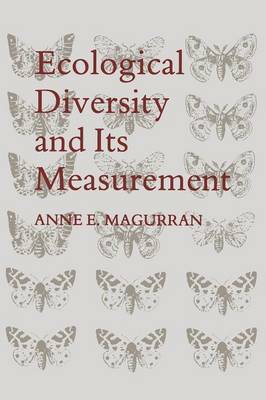 My aim in writing this book is therefore to provide a practical guide to ecological diversity and its measurement. In a quantitative subject such as the measurement of diversity it is inevitable that some mathematics are involved, but at all times these are kept as simple as possible, and the emphasis is constantly on ecological reality and practical application. I hope that others ente ring thc fascinating ficld of ecological diversity will find it hclpful. This book grew out of my work in The School of Biological and Environmental Studies at the New University ofUlster, Coleraine, Northern Ircland. I am indebted to all the ecologists there for pro vi ding a stimulating atmosphere. Foremost among these were Amyan Macfadyen and Palmer Newbould. A number of the figures and tables in the book are based on data collected in Northern Irish woodlands.